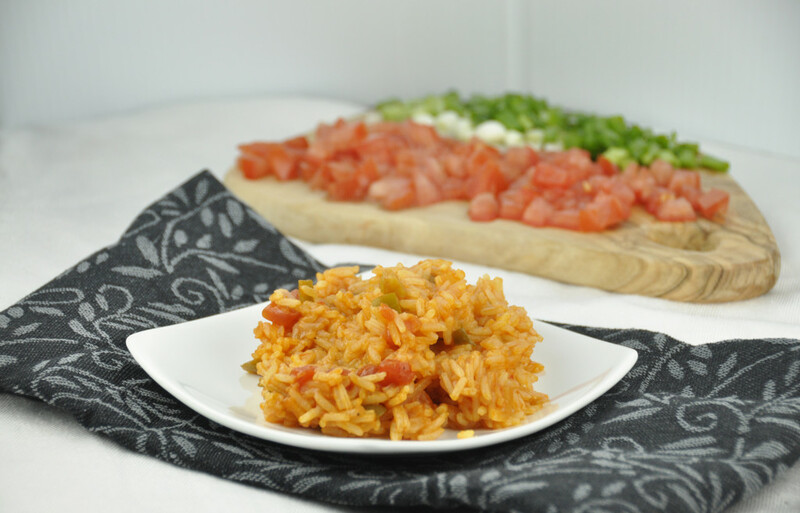 This Perfect Mexican Rice recipe is popular for a reason! 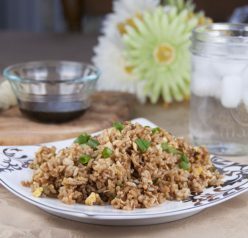 It’s way better than the rice from a box and is so easy to make! A lot of times I like to take shortcuts when it comes to side dishes for a meal. This is mostly because I’m putting all my effort into the main course which tends to be a lot of work sometimes….and let’s be honest, I am not very good at multi-tasking. In fact, I’m horrible at it. If I don’t focus on just one task at a time I tend to screw something up (even when I do only have one task it’s iffy). This time around I decided to make a Perfect Mexican rice side dish instead of buying the pre-packaged “throw it in the microwave and done” rice. Although, those are very tasty sometimes. Don’t get me wrong, there’s definitely a time and a place for shortcuts, but I was making slow cooker chicken tacos which freed me up to do other things while the slow cooker was doing all the work. Gotta love it! This Perfect Mexican Rice recipe is popular for a reason! It's way better than the rice from a box and is so easy to make! Heat oil in a pot over medium heat. Add onion, season with salt & pepper, then saute until tender, about 5 minutes. Add salsa, rice, and vegetable broth then bring to a boil. Lower heat then place a lid on top and simmer until rice is tender, about 20-25 minutes. 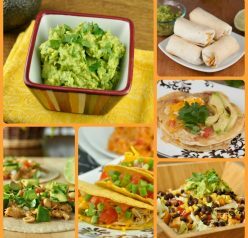 Serve as a side dish with any Mexican meal! This looks great! I love all things spicy, so I would totally go for the hot salsa too. 🙂 I was actually planning on making rice tonight to go alongside a southwestern-style gumbo… I think I’ll try this out! Awesome! I hope it turns out well for you! Love this! What an easy recipe for something I thought to be complicated! I also loooove spice so I might throw some jalepenos into this when I make it for our next taco night! I’m glad someone else appreciates spice like I do 🙂 Thanks for commenting, Becky! we have mexican for dinner every friday night. usually it’s just a TON of guacamole and some quesadillas and chips. Now, I want to add rice to the rotation too! I love spicy. I think we’d add some jalapeno! 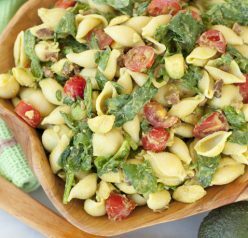 This sounds so easy and delicious!! Every other Mexican rice I’ve made has turned out to be way too complicated for what it’s worth, but this looks perfect for the next time we whip up tacos for dinner. Thanks! Thanks for commenting, Rachel! It really was super easy! This looks fitting for an upcoming Mexican night meal! And easy to boot! I loved how easy it was! This recipe not only looks and sounds delicious, but it also seems totally simple to make..which is definitely right up my alley. Thanks for sharing :). I could eat rice like this every-single-day! Fabulous! I swear, I could eat Mexican rice plain–nothing else! I LOOOOOVE it. As a kid, it was my favorite reason we had tacos lol. I agree – I can make meals out of rice! This Mexican rice is Almost authentic- if you brown the rice before you add the salsa – etc – it will be so much more flavor able. Just a hint !